Discover the exclusive ’36 Hour Weekend’ package for two, including a Friday Fairmont Brunch, one-night accommodation in a luxurious Fairmont Room, a lavish breakfast and a lunch by the pool from AED 1,099. Guests can unwind as they walk along the peaceful, private sandy beach whilst enjoying spectacular creek-side views of the Sheikh Zayed Grand Mosque. 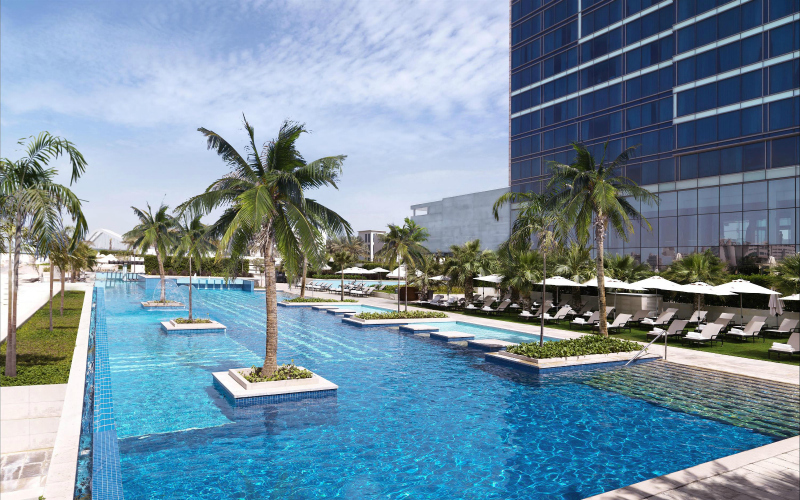 Upon entering Fairmont Bab Al Bahr’s striking and voluminous lobby, lined with soothing water features, guests can also take advantage of a seamless check-in as luggage and carry on’s are whisked off to a beautifully appointed guestroom. Enjoy a true Fairmont institution in the form of the hotel’s Friday brunch – a culinary journey with a bounty of offerings including delicacies from the Indian sub-continent, signature sushi items, interactive cooking stations, traditional Arabic dishes, in addition to hearty English fare with eggs benedict and a roast carving station. 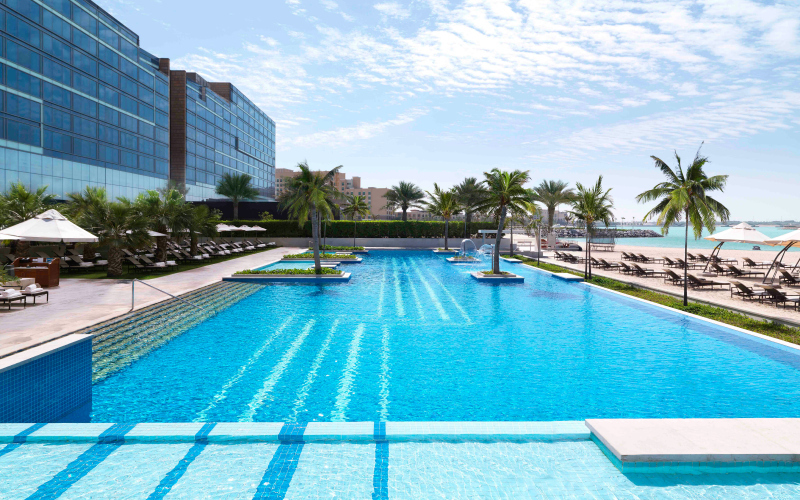 The following morning, relax by the sun drenched outdoor swimming pool with spectacular views of The Abu Dhabi Creek and the Sheikh Zayed Grand Mosque. Prolong this experience with lunch at Poolside that offers a range of gourmet hamburgers and blended seasonal beverages before a late check out at 6pm. Details: The ‘36 Hour Weekend’ package is priced from AED 1,099 for two. All prices are subject to 10% service charge, 5% VAT, 3.5% Tourism fee and 2% Municipality fees. Additional AED 10 Municipality Room Fee applies per room per night. The offer is available all year round, subject to availability. For more information, visit the website or call +971 2 654 3333.